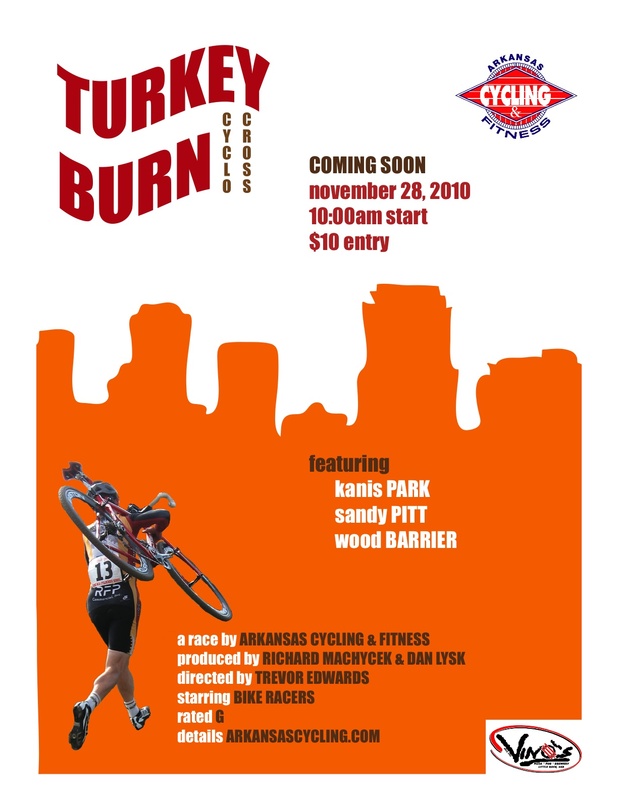 www.arkansascyclocross.com: Turkey Burn in Two Days! Turkey Burn in Two Days! 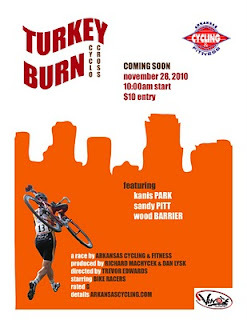 One last reminder about this Sunday's Turkey Burn cyclocross race, right here in Little Rock! Pre-race skills clinic at 8:30, Men's B and Women's Open race at 10:00, Men's A race at 11:00, and kids race at high noon. Registration: $10. Click here for more details. Be there! Burn off all that turkey and stuffing!